Hardly anyone enjoys paying taxes. It’s easy to see why: when you pay money out, you want something back. But, by definition, those individuals paying tax have no personal claim to anything in return, leading many to believe that there is nothing in it for them when they pay taxes to the government. At the turn of the 20th century, Oliver Wendell Holmes Jr, an associate justice of the US Supreme Court, said: “I like to pay taxes. With them, I buy civilisation.” Holmes enjoyed popular support for his pragmatism and distinctive language. His quote is as illuminating today as it was then, clearly demonstrating that individual taxpayers in modern countries actually do get something back. According to Holmes, paying taxes is about paying for everything we appreciate about living in a civilised world. Today, taxes in various countries pay for energy grids, roads, schools, public administration and sometimes a basic telecommunications service or certain social services. They also pay for the police force that keeps us safe. But how did this agreement between the state and its citizens first arise? At the beginning of the modern age, philosopher Thomas Hobbes opposed the accepted natural order that governed the ‘God-ordained’ relationship between rulers and their subjects. He was convinced that this order was also based on a more earthly reason: when people lack an authority above them, they become mistrustful. And because a ruler guarantees the observation of a common set of rules, they create trust among people. So, according to Hobbes, our taxes do not merely pay for tangible infrastructure, but help shape the very foundation of society. Essentially, taxes are our investment in society and in its rules. This results in an interesting contradiction: we accept restrictions for us as individuals, but still gain freedom from this order. Complex transactional systems in which states flourish and economic activity blooms can only succeed if their participants trust that everyone is playing by the same rules. That applies to money especially, and to more besides. Compared with other countries, Liechtenstein has a unique approach to taxation. It does not fund its public spending at the expense of future generations – instead, the state has balanced its books for many years. The country’s entire spending is paid for by tax – most recently amounting to some CHF 800m ($790m) each year – along with other state revenues. And as a modern country, it lives up to its responsibilities; the United Nations confirms that Liechtenstein is one of the world’s most highly developed nations. Liechtenstein has established an excellent reputation as a place to do business. A diversified, mostly export-orientated economy has developed alongside confidence in a reliable, liberal economic order – a key component of which is a competitive tax system. 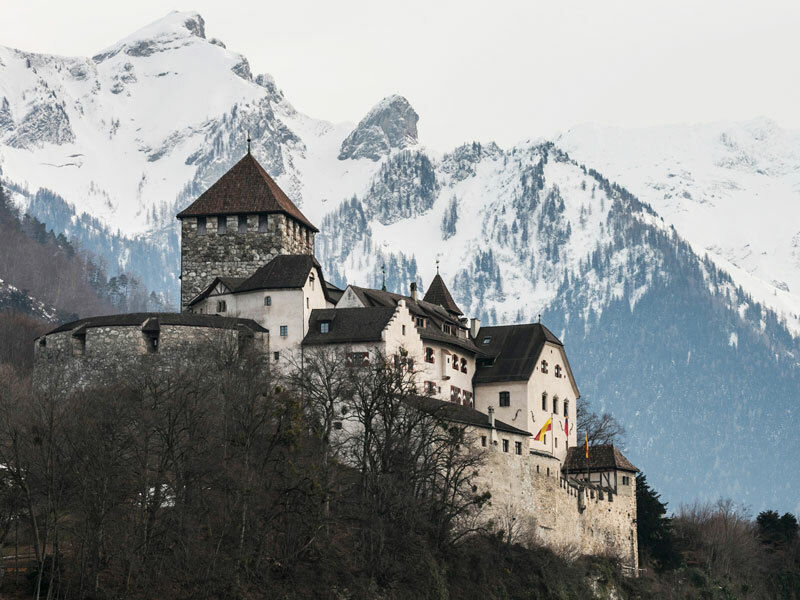 Following a complete overhaul of the system in 2011, Liechtenstein’s businesses, wealth structures and private individuals have benefitted from attractive conditions, which are simultaneously compatible with both international and European law. The Liechtenstein financial market is often the poster child for the country’s economy. Innovative, filled with award-winning companies and boasting a fantastic international network, it plays a truly significant role. Profiting from a sound state financial position, it also has a particularly unique selling point: investors seeking to combine the stability of the Swiss franc with the investment opportunities of the European Economic Area find ideal conditions in the principality. Despite the financial sector’s qualities, however, the most important area of Liechtenstein’s economy is its industry. From small, niche businesses to global corporations, industry produces the lion’s share (40 percent) of the country’s gross value added. This compares with 24 percent from financial services and 28 percent from general services. It is evident, therefore, that Liechtenstein’s environment is beneficial to businesses from many different sectors. It takes a great deal of courage to completely overhaul the tax system like Liechtenstein did, and other countries are less keen. Many attempts to unpick Byzantine tax structures and put in place new, more practicable solutions often fail. When it comes to tax matters, historical baggage can result in strange effects: for instance, sales of cowboy boots in Texas are tax-free, while other shoes are taxed at the standard rate. And in Germany, drinkers of sparkling wine have paid for the privilege through a specific luxury tax since 1902. Levied originally to fund defence spending, the tax was scrapped temporarily but then reintroduced, and still applies today. Regardless of whether any of these individual measures are sensible or not, every additional tax increases the complexity of the system as a whole. What we can learn from these examples is that taxes that are introduced for a specific purpose are hardly ever abolished when that purpose ceases to exist. Instead, individual groups are granted special exemptions or tax allowances, making the system even more complicated. Welcome to the tax jungle. Efforts to improve fairness become lost in the undergrowth of multiple interests and demands from all sides. Ultimately, however, it can mean that Ed Sheeran is suddenly paying more tax than Amazon. But surely this jungle is better than a barren desert? The 58 countries named by the OECD as fragile states in 2018 could indeed be classed as a barren deserts: whether in Africa, Europe or Asia, all are unstable and have various problems of their own. What unites them is the fact that they are all massively dependent on outside help. According to the OECD, one of the major reasons for this is the lack of a functioning tax system. Many of these states exploit their natural resources as a means of obtaining capital, chopping down forests and ripping up the ground in search of raw materials and literally leaving a desert behind. It seems that the exploitation of raw materials in these cases is often better organised than the tax administration. The OECD recommends that weak states abolish tax exemptions and introduce measures to improve tax payment rates. It also believes that empowering the tax administration in weak states is a way of improving the situation. As such, the experts are convinced that the more these states rebuild their capacity to generate funds from taxes, the better their prospects for positive growth will be. It is easy to see why an international organisation would issue such a recommendation. The question is, however, whether a country that engages in such a process can rebuild the people’s trust to the extent that these measures truly succeed in improving tax revenues. Many wealthy people are just like everybody else in their desire – or lack thereof – to pay tax. However, deficits in the tax systems as already described can have direct and unpleasant consequences for them. And it’s not simply about foregoing some of their wealth in order to contribute: according to Philip Marcovici in his book The Destructive Power of Family Wealth: A Guide to Succession Planning, Asset Protection, Taxation and Wealth Management, taxes may well be a political risk for the wealthy. When a country’s tax system fails to offer the statutory and political protection that it should, the wealthy start to look around for more stable environments. After all, the risks that these deficiencies represent to them are tangible. Countries demand all kinds of confidential information to determine how much tax should be paid – information that has the potential to be misused. Marcovici, who sits on the board of directors for Liechtenstein-based wealth manager Kaiser Partner, gives the following examples: when confidential information falls into the hands of populist politicians, they may introduce arbitrary taxes that target specific groups or individuals. In addition, confidential information feeds a culture of corruption in unstable countries. The international exchange of tax information may have a particularly problematic impact in this respect. For example, if such a process results in sensitive information ending up in the hands of countries that are not yet set up to handle it confidentially, the scenarios described could cross borders. This is why advisors to wealthy clients need to address these risks in detail through proactive tax and wealth planning. Marcovici strongly urges that wealthy individuals and families make sure they understand their own tax affairs. This can help reduce an unhealthy dependency on an advisor, while also allowing them to better evaluate the advisor’s service. Knowledge of tax affairs can also have practical relevance. For instance, increasingly mobile lifestyles may result in them becoming a tax resident in a country simply by spending a certain number of days there in the year. Marcovici believes that wealthy clients need to be aware of such tax intricacies for some decades to come. It will take a long time until all nations have a tax system that is free of corruption, in which tax information is not misused for political advantage, and in which the authorities handle the taxpayers’ data in true confidence. While these deficiencies persist in some countries, tax and wealth planning must continue to address the risks for high-net-worth individuals and their families.